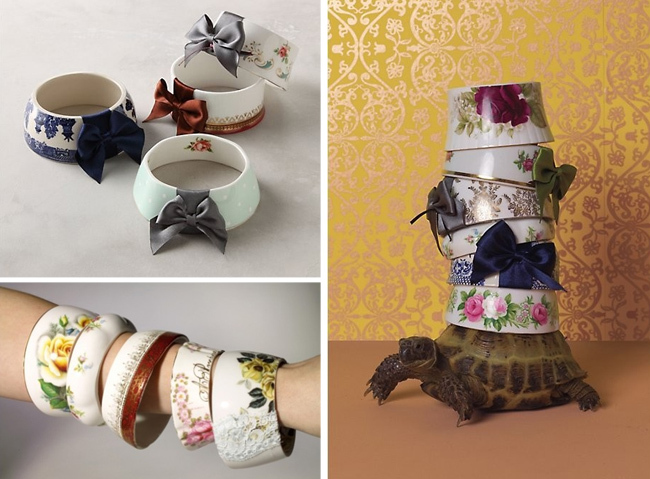 These ingenious teacup bangles are the work of Brighton-based Abigail MaryRose Clark who's been turning pretty, vintage teacups into wearable art since 2004. Besides how amazing and unique these bangles are, how could you not love the work of someone who displays their products on the back of a tortoise?! StayGoldMaryRose products are sold online, in a number of boutiques around the world as well as by Anthropologie. Find StayGoldMaryRose . . .